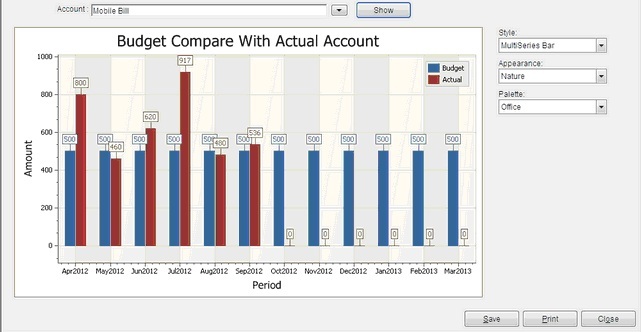 Show you budget chart compare with actual transaction. Here many option to show chart in different type,colors background color etc. and also Save chart, Print chart.